The Internet Philatelic Dealers Association Inc. will be holding it's 12th annual Halloween marathon chat 27-28 Oct. Everyone is invited. The chat begins Saturday at 10:00 AM GMT and runs till Sunday 10:00 AM GMT. The chat will be moderated by IPDA members from Spain,Belgium,Canada,USA and Australia and is safe for the whole family. Log on in costume and be prepared to meet several Dracula's,elves and witches. I even have word that Darth will make an appearance. Just click on "IPDA chat page" and the "chat now" button it brings up. Feel free to log in as your favorite Halloween character. Hello, found this tonight so thought here is a chance for a quiz. Lovely MS I think you will agree. I hope this is interesting and a challenging question. Who was the inventor of the postage stamp? 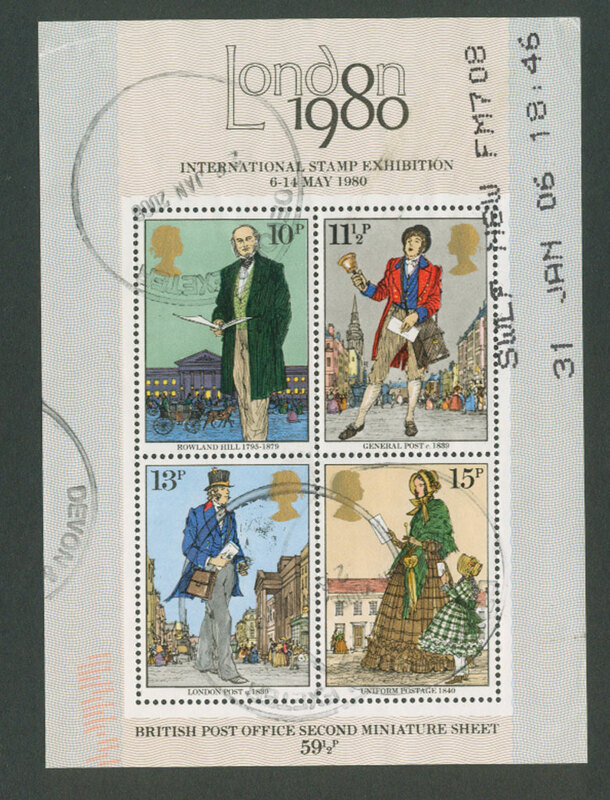 Rowland Hill is the obvious answer as he is usually credited with originating the basic concept of the postal service and the postage stamp. But maybe someone else should get some credit? Here he is. name please and in what year did he put forward the idea of a "stamp"
Hi, something different tonight. everyone wins my quizzes and that is great.. how do you all get the answers so quickly? well done and thanks for your emails. 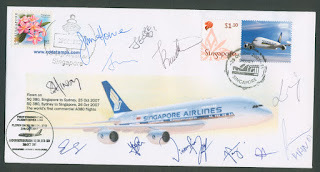 The winner of the Australia Zoo stamps was Janet from Hong Kong who had the 5th email in reply with the correct answer, well done to someone who I think is a new reader. Tonight another chance to win that Hong Kong Great Wall Miniature Sheet I showed a few days ago. This time I will be the judge of your answer to this question...that is, in my view, the best answer, can be funny, serious, witty, whatever you like........... why would anyone list this rubbish, damaged , little catalogue value stamp even n brilliant condition, on eBay?? Because this is listed on eBay right now. Hello, well tonight this lovely MS from Australia Post. You just have to like it. Sadly it has the slightest of bends in the bottom left hand stamp.. that to the perfectionist in me for describing stamp quality, but as a collectible I expect with being pressed it will disappear in time. Thanks to all of you who have been writing to me and saying how you like the quizzes. So to win this MS here are two questions. I say that because even when I try to make the questions hard you all seem to get them so easily. So how about this, two part question 1) Which zoo boasts the largest collection of primates in any private zoo in Australia? 2) name one zoo in Australia that has successfully breed the rare Silvery Gibbon in captivity. Probably very easy. To make things more equal for you all I will chose the 5th correct entry as the winner. Well I think that is more equal as some readers see my blog while other are asleep due global time difference. Just email me at cddstamps@gmail.com with your mailing address please. I always ask for mailing address as I do not keep your mailing addresses or use it for other purposes, as I guess you know by now.